The Consuela’s Taqueria and BBQ Green Improvement Fund Project is located at 523 Marcellus Street. This project was contracted in 2012 and was recently completed. The improvements included the renovation of an existing structure to a restaurant, which will serve authentic Hispanic cuisine. The project incorporated several stormwater management tools to reduce runoff. 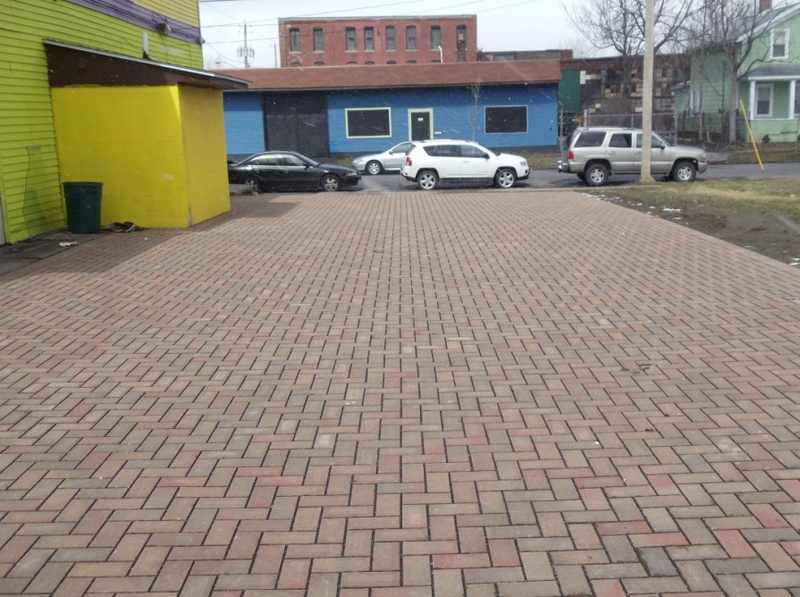 It consisted of a porous paver patio to be used for outdoor seating along with a parking area. In addition to the porous pavers, a rain garden was installed to capture runoff from the roof using a new gutter system. These green practices capture stormwater runoff from an impervious area of approximately 3,500 square feet. 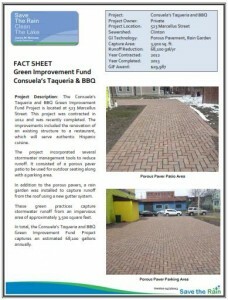 In total, the Consuela’s Taqueria and BBQ Green Improvement Fund Project captures an estimated 68,100 gallons annually.